My first experience with the Papua New Guinea Peaberry (PNG) was at a cupping class. I was surprised how the taste of the coffee changed as it cooled. I had to try brewing it at home! Recess Coffee is located in Syracuse, New York and distributing their roasts wholesale and to local grocery stores, as well as running several cafe's in Syracuse. The Recess Coffee PNG peaberry bean is roasted to a light cinnamon color and is dry and non-oily. Beans appear to be roasted evenly and have a beautiful deep floral aroma. 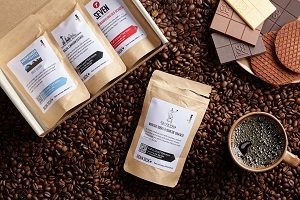 Recess Coffee labels the beans as a City Roast. When brewed, PNG Peaberry is a clean, bright coffee with floral notes and a surprising sweetness. The mouthfeel is clean, crisp, and light. The aftertaste is very complex and changes as the coffee cools, ending with a slight cocoa note. Typically a medium to a dark roast fan, this light roast surprised me with the cocoa aftertaste. Papua New Guinea Peaberry from Recess Coffee isn’t an everyday morning coffee, rather it should be brewed when you have the time to enjoy the complexity of the coffee as it cools in your cup. Papua New Guinea is located north of Australia on the eastern end of the Island of New Guinea. It was a hotly contested area during World War II as the island chain had numerous air bases to provided air support for naval operations in the southern Pacific theater. 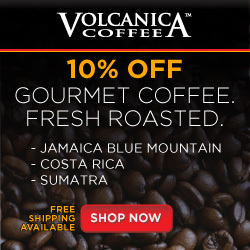 The island of New Guinea is volcanic, so the coffee plants thrive on fertile mineral-rich volcanic soils. I don’t have the specifics where Recess Coffee purchased their beans, but the island topography is steep (up to 12,000 ft) and covers several different climatic zones. Most of the coffee plantations are found at elevations between 3,000 and 5,000 ft AMSL. Peaberry refers to the shape of the coffee bean. 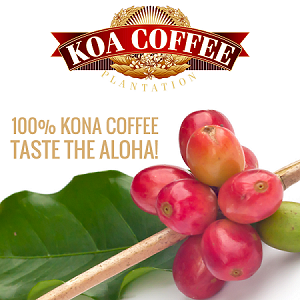 Usually, a coffee cherry contains two seeds or beans. A peaberry forms when only one of the two seeds in the coffee cherry is fertilized. The viable seed grows into a move oval barrel shape and doesn’t have a flat bottom like most of the coffee beans. What's the Difference to Us? 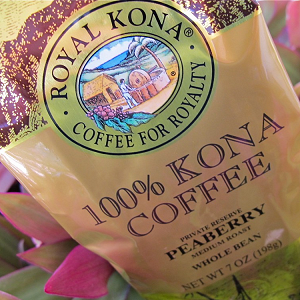 About 5% of all coffee beans are peaberries. Coffee made from peaberries often tastes better than flat beans of the for a couple of reasons. One, they undergo closer inspection when they are hand sorted, so the quality of the beans is better. Because of their round shape, roasting machines have an easier time moving and rotating the beans, so they are more evenly roasted than normal flat-sided coffee beans. It’s no secret that I like French Press coffee, so that was my first test with this PNG coffee. The ground coffee had a very bright and floral aroma. I always start my testing with a 16:1 ratio; that is 16 times the weight of water to coffee. Pour five to six ounces of water off the boil for 30- to 40-seconds over the ground coffee. Make sure to stir the mixture to ensure all of the coffee is wet. Allowed the coffee to bloom for 30-seconds before adding more water. After blooming, add the remaining water slowly in a circular motion. Slowly means that the total wetting time will take more than a minute. Steep the coffee for 4-minutes. Since I only made one cup of coffee, I didn’t clean out the grinds before pushing down the plunger. I poured the coffee immediately into a cup after pressing. My first impression was that the coffee is slightly weak. The coffee smelled very bright and acidic. I couldn’t pick out any distinct flavors, but a sweetness cut the acidity. As it cooled, I could taste some chocolate notes. The cocoa notes became more pronounced as the coffee continued to cool down. It also tasted sweeter and had a great aftertaste. I like this coffee, even though the coffee isn’t very rich, it becomes more flavorful as it cools in the cup. In the second French Press, I changed the grind finer by two settings, and this gave the brew a heavier body and more of the good bitter aftertaste that we expect out of coffee. I used a travel Melitta brewer (all I had at the time) with a rinsed, non-bleached, paper filter. Coffee beans were ground by a Cuisinart burr grinder on a medium setting. This is four settings finer than the second French Press brew. The resultant coffee was bright with floral notes with a pleasant hint of ground pepper. It tasted very similar to the French press method, but the aftertaste was for some reason more bitter. Always trying to save coffee, I changed the ratio to 17:1 and the bitterness decreased, and the cocoa notes increased as the coffee cooled. Recess Coffee has lightly roasted a bright floral with a slight pepper-like aroma coffee that increases flavor complexity as it cools. This is a good coffee to enjoy while reading a book or doing some desk work as flavor becomes more complex and enjoyable as it cools. For me, the best flavor was developed using the pour-over method at a ratio around 17:1. When you see this coffee available at Recess Coffee or on their website purchase a bag and you won’t be disappointed!